Baby boomers can take credit for billions invested in healthcare research over the last several decades, and the benefits of their investment are changing the landscape of human life expectancy forever. Average life expectancy at birth has been steadily climbing at about 3 months per year, and higher than that for those over 65, as we have got a lot better at preventing and treating several previously fatal health events. Many more of us will be living to 100 and it is expected be the average within this century. Recent advances in treating cancer and heart disease, the two leading causes of death for those over 45, will have a profound impact on life expectancy in the coming years. These two conditions alone account for two thirds of all deaths in those over 65, and both have been trending down sharply in the last 25 years, with no signs of leveling out. Not surprisingly, the topic of longevity is a growing discussion, as it affects all of us in many ways. Those who have maintained good dietary, active and social health throughout their lives should plan to continue to outperform the average. And when I say “plan”, that’s a much taller order than it was for our parents. Dr. Jill Bjerke reports that in 1900, 1 in 25 Americans was a senior, and by 2030, that will rise to 1 in 5. This is a result of both the Baby Boomer population balloon, and the fact that we are living longer. The landscape for our senior years will be very different than it was for our parents. Living longer is a good thing in many ways, but it will change our housing needs profoundly. In the northeast USA, houses have largely been designed and built the same way for 200 years. That wasn’t a big issue in the 1800’s, when life expectancy was under 50, and there weren’t as many aged, mobility challenged people in society, but it will not satisfy “our” needs in retirement. 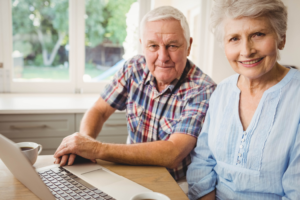 Given many more of us will be living to 100, it says that we had better get a lot more serious about the home we plan to live in throughout our retirement years as we Age in Place. I have yet to meet anyone yet who willingly started a remodel after age 70, so putting it off would seriously risk our quality of life, with irreversible consequences. A design that both upgrades the living space and provides better functionality for all ages and abilities will pay us back and then some. It may require dipping into retirement equity, but done properly, it will prove to be one of the best ways to preserve our retirement equity, as it should eliminate future moving costs and the risk of being forced into costlier, smaller community housing when we start slowing down. 100 is going to be here before we know it, so we’ve already started planning for our family. Let us know if we can help you get started as well.